It’s a simple pattern with just enough going on to fight off boredom. 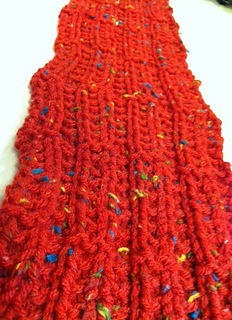 Knit one for the Red Scarf Project, then knit one for someone special in your life who also needs a hug from home. Inspired by a stitch pattern from Barbara Walker.